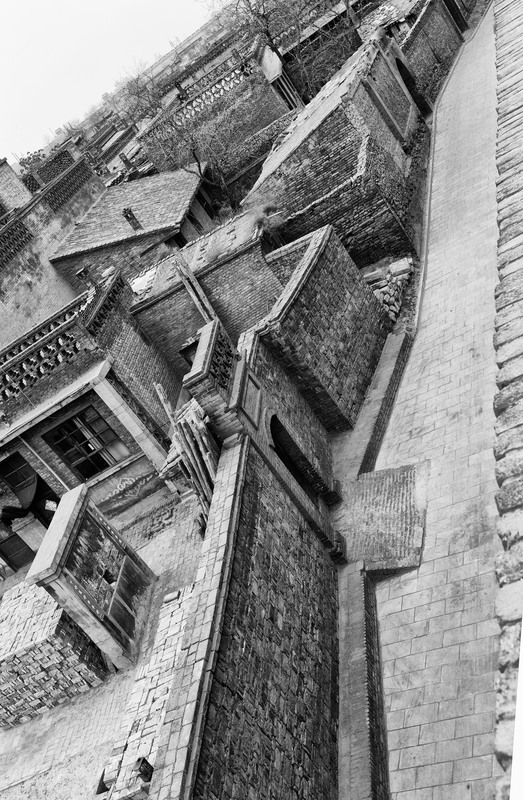 Looking down from the main outer wall in Ping Yao towards the inner compounds of ancient houses. You can see from the house on the left of picture that the compound or courtyard is entered through a arched doorway, directly infront of that door is a brick wall or screen; these brick screens stop people looking into the inner coutyard from outside the gates and they usually have Chinese welcome charactors carved in stone or painted on them to greet and welcome incoming guests to the home. Signs would typically say Long Life or Good Fortune. Great photo! Love the way you’ve composed it! .